Baker Hall stands on the campus of Dartmouth College, the smallest school in the Ivy League, in Hanover, New Hampshire. 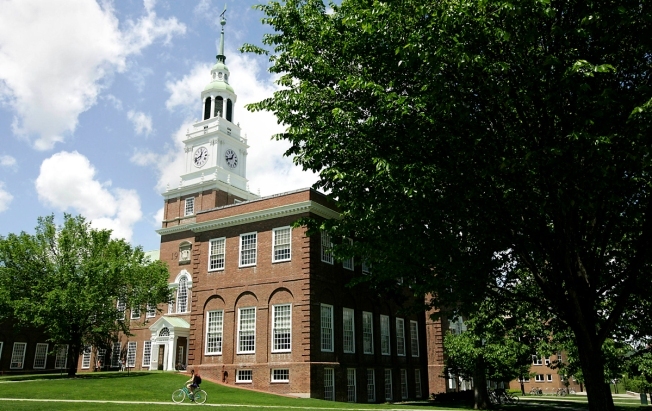 Dartmouth College says 50 of its students have fallen ill with hand, foot and mouth disease. The college has set up a temporary infirmary and a 24-hour hotline for sick students since the spike started two weeks ago. Health officials say there is currently a nationwide spike in patients suffering from the illness. Saliva and other bodily fluids spread the disease. The disease's symptoms include a high fever and sores on the inside of the mouth or lips.